Michigan Women Get A 26% Boost in Pay! Sadly, the pay gap continues to be a grim reality for the majority of working women in Michigan. What a day of celebration that will be when the average earnings of Michigan women equal the average earnings of Michigan men. Your Michigan legislators need to hear how you feel about this issue. 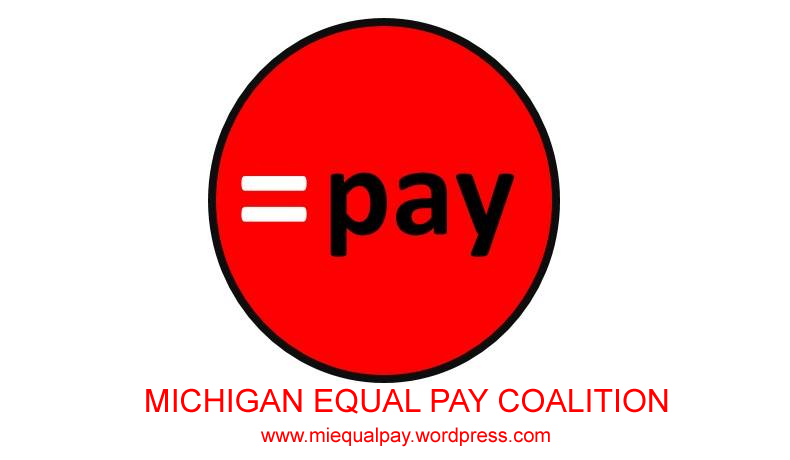 Take action at miequalpay.wordpress.com: Urge your state representative and state senator to pass Michigan pay equity bills (HB 4516 – 4519 and SB 0296 – 0299). A woman in Michigan, who holds a full-time job, is paid on average, $36,772 per year while a man in Michigan who holds a full-time job is paid $49,897 per year. That means women in Michigan are paid 74 cents for every dollar paid to men, resulting in a yearly gap of $13,125. It’s not much better in other parts of the country: Nationally, women’s median annual earnings for full-time work are 77 cents for every dollar men make. The gap is even wider for women of color: African American women are paid 64 cents and Latinas are paid 54 cents for every dollar paid to white, non-Hispanic men. Let your state representative and state senator know you are watching the positions they take on these equal pay bills! They need to know the pay equity issue isn’t a myth and isn’t going away – and that we are certainly not going away either. And wrap your head around this: Michigan women who are employed full time lose a combined total of nearly $15,619,025,625 every year due to the pay gap! These lost wages equal an incredible sum of essential dollars that could be spent on goods and services that support strong families and drive economic growth. Michigan women and families cannot afford discrimination and lower wages. The status of women serves as a barometer for the health of a society. More than ever women’s earnings are a primary source of household income, and the wage gap severely impacts the economic security for families. It is time for the disparities to end by strengthening our laws nationally and in Michigan.